Town of South Bruce Peninsula (Lower Tier Bruce)Record Owner? Log in. 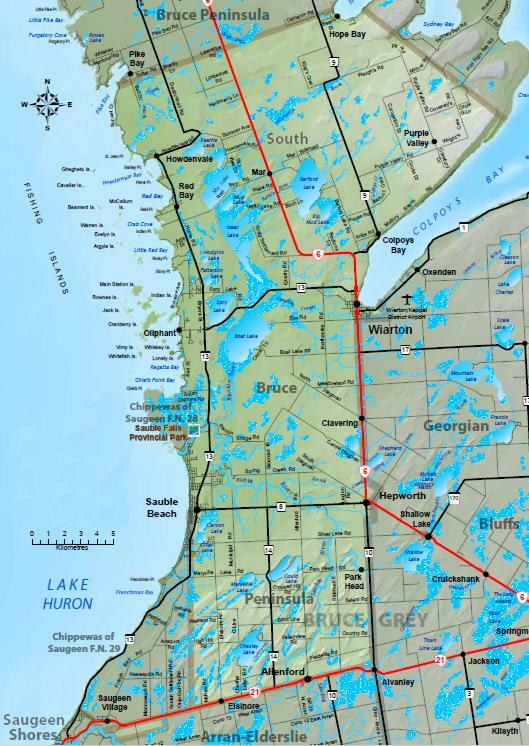 The Town of South Bruce Peninsula was formed in January 1999 with the amalgamation of the former Township of Albemarle, Township of Amabel (Sauble Beach), Village of Hepworth and Town of Wiarton. The Town is the gateway to a natural wonderland. The Town is home to Canada's Groundhog Wiarton Willie. Every February 2nd Willie arises to predict the coming of sping and the whole town celebrates. Have something to say about Town of South Bruce Peninsula (Lower Tier Bruce)?